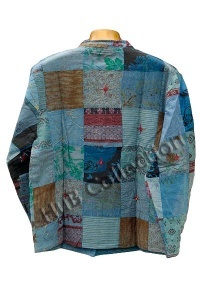 A lightweight version of this popular style of elephant jacket. 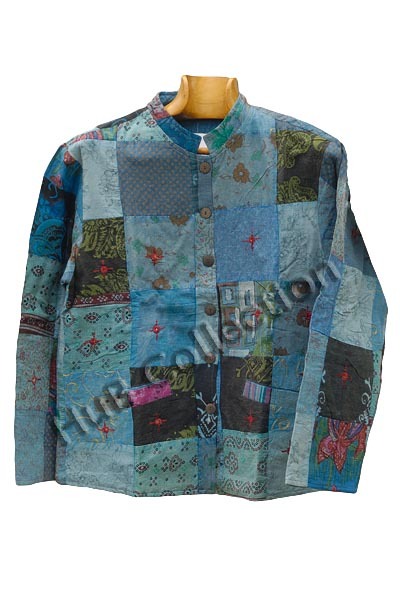 This patchwork jacket is in blue, it has two front pockets. It has a patchwork design with slight colour variations across the patches. Size is S/M which is approx 42ins across the chest and 29ins length (from top of collar to bottom). Unique, individual and stylish. Slight variation to photo illustrations - same design. Priced at £30.00 with free UK delivery!